Just months after paying a king’s ransom to acquire the rights to Lord Of The Rings, Amazon is fleshing out its fantasy adaptations department with a new Conan The Barbarian TV series. According to Deadline, the series comes from Ryan Condal (Colony), Warren Littlefield (Fargo and The Handmaid’s Tale), and Game Of Thrones director Miguel Sapochnik, who will produce the show with Pathfinder Media and Endeavor Content. This new take on an old Robert E. Howard tale is being written by Condal, and will see the barbarian “[wander] the mysterious and treacherous world of civilization where he searches for purpose in a place that rejects him as a mindless savage.” Apparently, Condal and Sapochnik are both huge fans of the source material, and have wanted to adapt it for some time. 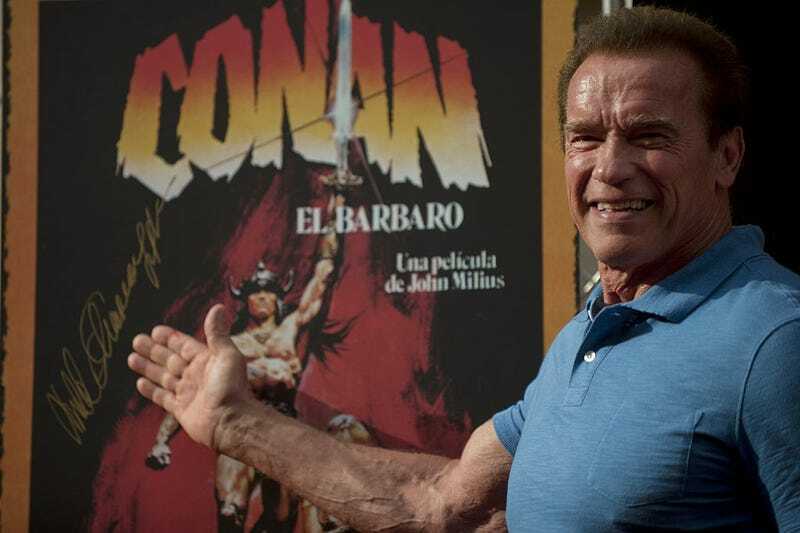 No word yet on who will follow in Arnold Schwarzenegger and Jason Momoa’s sandals and loincloths, or whether this fantasy drama will quash the dreams of the proposed Conan cinematic universe that would also include Krull The Conqueror or Solomon Kane. But it’s another clear indication that Amazon is moving away from the indie comedies that helped build its content brand, and diving into expensive and extensive dramas.